On November 13th 2015, at our annual Surpass Conference, Andy McAnulla unveiled a new addition to the Surpass suite of products, called SurpassPaper+ which he described as an ‘elegant innovation’. In summary, SurpassPaper+ is a secure word processing app, designed specifically for assessments, which enables the capture of typed responses in exams. Since the announcement, there has been a continuing buzz of excitement from organisations wanting to find out more about the software, already envisaging what it could mean for the assessment industry; but why is this different from any other assessment software launch? “So why is it elegant? Rather than trying to provide a full on-screen assessment, SurpassPaper+ cleanly dovetails into the existing paper-based process to simply capture the candidate’s response on-screen. So, candidates continue to get the question paper in the traditional way, but rather than handwrite their answer for 3 hours, they type their answer. 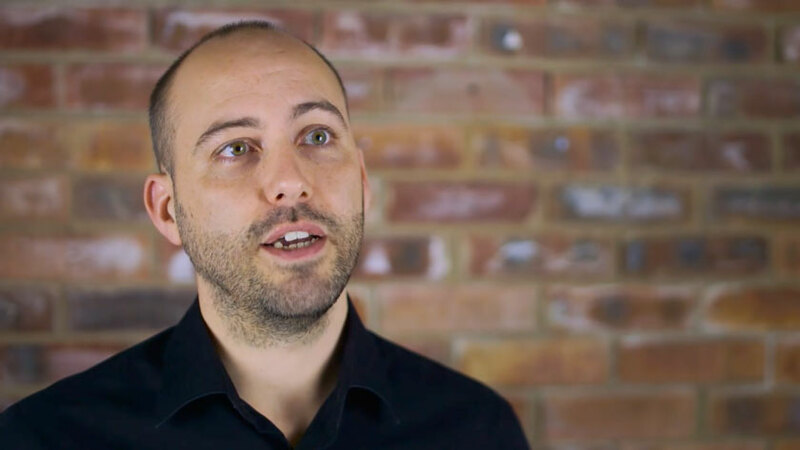 And because we’re not delivering the questions, the candidate can use their own device that they’ve been using for their learning.” – Andy McAnulla, Service Design Director at BTL Learning & Assessment. For a few years now, BTL Learning and Assessment has been discussing with partners and customers, the challenges faced by test centres responsible for delivering general qualifications using computer based testing. It’s not impossible to bridge the gap. In 2013, Ofqual stated in a document that where a candidate’s usual way of working is to use a word processor rather than handwrite, then this is permissible in an exam, whether or not they are disabled (reference: http://dera.ioe.ac.uk/15880/1/2012-10-30-extra-time-for-candidates-timed-exams.pdf ). However, due to the risks of delivering traditional computer based tests for general qualifications, and the potential impact from failure, many organisations are simply not ready to take the leap to massive volume on-screen testing. Just imagine shifting 300 bulky desktops into an exam hall and trying to power them all up – it’s no wonder schools and centres would shy away from the idea… until now. Two years in the making, and the result of numerous discussions with the people who will ultimately use the product, SurpassPaper+ was designed not just as a solution to an immediate problem, but a considered approach to improving the candidate experience without disturbing the existing delivery practices within the test centre, whilst also delivering huge benefits to the awarding organisations. Naturally, a major consideration from the outset was security, closely followed by contingency and then ease of use. How do we avoid students accessing the internet? Spelling and grammar checks could give an unfair advantage; how do we combat this? If a pen runs out of ink, a student can be given another pen, but what if a computer breaks down? All of these questions (and many more) have been carefully considered, and the answers can be seen on the SurpassPaper+ information page, but in short, we’ve worked out how to keep the app secure even in a BYOD environment, it’s reliable with no single point of failure, and once a script is uploaded it’s removed from the device so it can’t be shared. “There should be no reliance on the internet prior to or during the exam. And we need to ensure that their device is locked down so they cannot cheat. We’ve worked out some clever techniques to achieve all of that. And even without ever connecting to the internet, SurpassPaper+ can tell the candidate if they’ve entered the wrong information for the centre and paper they are answering. Now that is pretty clever!” – Andy McAnulla, Service Design Director at BTL Learning & Assessment. After BTL and its partners were satisfied that the initial challenges had been met, the next step was to look at how using such a tool could be made as intuitive and simple as possible, and also the additional benefits it would bring to test centres. The app design itself is incredibly simple. All the candidate has to do is download it onto their device, and it will be ready to use when they attend their exam. Once details have been entered (again, no different to the front of a regular answer booklet) a clean, familiar word processing interface is used, but with features like spelling and grammar check removed. For the marker, every answer submitted through the system would be legible. Students no longer have to fear loss of marks because their speed-writing may be less legible, and markers don’t have to worry about translating hundreds of alternative handwriting styles. The real benefit to test centres however is the processing logistics. In the past, answers submitted on a computer would have to be printed out, posted off and in many cases scanned back in for use with marking software; a truly cumbersome process. Hiding behind the incredibly simple, intuitive interface of SurpassPaper+ is a complex system that enables answers to be regularly uploaded to a secure server, straight into marking software. No hassle with printers, and no lengthy, expensive postal procedure. This in itself adds an extra layer of security to candidate scripts, ensuring that extra pages aren’t mishandled and work can’t go missing in transit. Also, because the app is made using HTML 5 and Microsoft Azure cloud services, it provides the same experience regardless of the device it’s being used on, and it’s scalable to huge volumes across a range of platforms with little chance of technical issues. “We’re being really lean here, eliminating all of that waste from the process. And you don’t even need to worry about comparability issues, because all candidates are using the same exam paper regardless of whether they are handwriting or typing.” – Andy McAnulla, Service Design Director at BTL Learning & Assessment. And this is just the start. Currently, SurpassPaper+ has launched on iOS and Windows, and now that it’s been revealed we are working hard on a product roadmap that will see additional functions added regularly to address suggestions made by test centres and the end user as part of the pilot. One imminent addition is the launch of an accompanying invigilator hub. This isn’t necessary, so traditionalists have nothing to fear, but for those who want to embrace it, the monitoring screen will provide a quick and easy insight into which candidates have started, finished, or require assistance with their assessment. So to summarise, although we believe that on-screen testing is the future, we also understand that paper testing is here to stay. SurpassPaper+ is here to level the playing field for all students in this digital age, without the pain of a full transition for the test centres involved.